We finished our year with a big 'Thank You' from the TADRA Project Team, which we would like to pass on to all of you, as you all helped to raise the money by coming to our Cafe's. Speaking of which, our next Cafe Momo is not far away, on the 18th this month to be precise and this time we have a special guest !!! 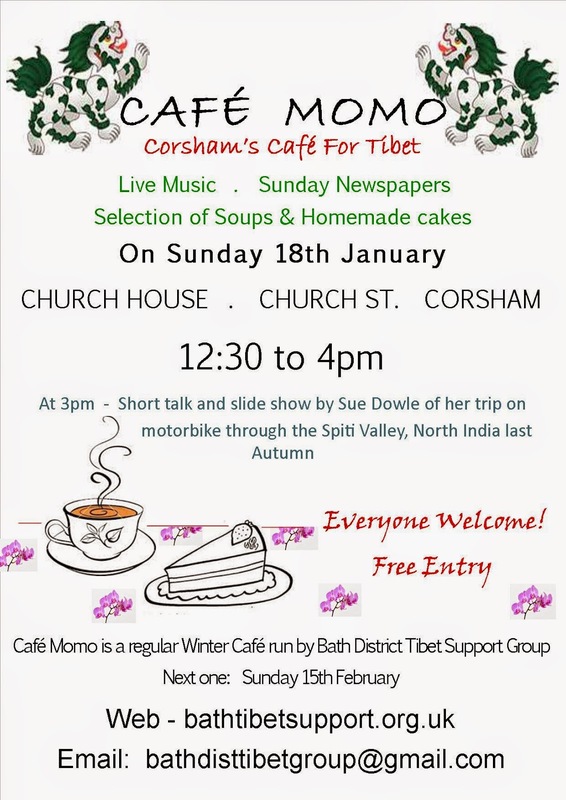 Sue Dowle will be joining us to talk about her trip to N.India (Autumn 2014) where she travelled by motorbike through the Spiti Valley. The Spiti Valley is a high altitude desert valley in the Himalaya, located in the Indian state of Himachal Pradesh. The name means ' The Middle Land', the area between Tibet and Northern India that was once part of western Tibet. It is home to a homogenous population of about 10000 people who are ethnically Tibetan and has been described as 'one of the last undisturbed enclaves of Tibetan Buddhism on Indian soil'. The valley is cut off by snow for much of the year and is not easily accessible, which adds much to its character. The talk will be accompanied by some photographs and followed by 'question time' where Sue will be happy to answer all your questions. Sue will start at 3pm, so make you sure you had your share of soup and cake by then.